Just a nice link to an article on trailers. Enjoy. I found this nifty article linked on IMDB, I don’t want to lose it and I think anyone interested in movies will enjoy it. So click away and learn a little. Nearly a hundred days ago, I started this project in a pique. Since my summer classes did not start for three weeks after the Spring semester was over, I had time on my hands and I did not want to fritter it away without having accomplished something. The idea of a blog, based on watching a movie every day seemed very appealing. I can watch five movies a day if the time is available, it is usually my pleasure. I wanted a theme to work around the movies so I chose films that I saw when I was growing up. I was twelve when the seventies started and twenty-one when they finished. Since it was Summer, I thought it fitting to write about Summer films of that time. There have been an amazing variety of movies covered in the last 97 days. I found however, that when movie watching becomes an obligation, it is not always a pleasure. There were several times during the Summer when I was stressed out about getting my movie in. I missed one day when we were in Vegas, and Amanda took over for the week that I was in Alaska. Squeezing in a film, between dinner and going out, or taking one with me on my ipod when we were on the road, are examples of the kinds of effort I made to keep up. If you check the time on the posts, you will find a number that just managed to get in before the stroke of twelve. I have every intention of continuing to write about movies and probably my life, but I am not going to keep it on a calendar like I did for the past three months. I look forward to going to school tomorrow, teaching my classes, coming home and then doing as I choose rather than forcing myself to watch one of the movies from the list. Don’t misunderstand, I have enjoyed watching most of the movies, even if I did not enjoy the movie. It is my pleasure now to introduce you to the final post on this project. “Time After Time” is 100% a pure pleasure. 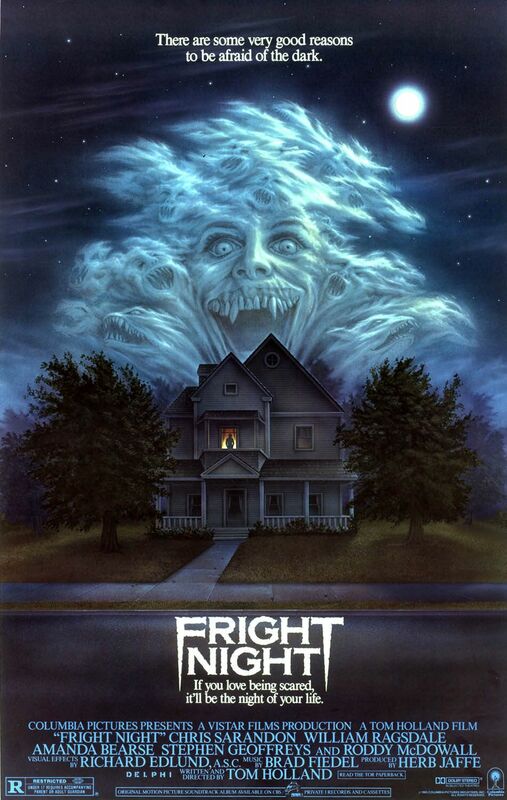 If you have not seen this movie, you are in for a treat when you do. There are so many terrific elements here that starting is a dilemma. Probably it is best to start with the set up. It is 1893 London and a group of Victorian era gentlemen are dining. We have seen the murder of a prostitute just a few moments before, but that can surely have nothing to do with this distinguished group of men. The host is Mr. H.G. Wells, writer and it turns out inventor. He is there to revel to his friends his newest invention, a time machine, and to announce his plan to travel to the future utopia he expects in three generations. When Scotland Yard shows up at his door, in pursuit of Jack the Ripper, it is only when He discovers his Time Machine is missing that he figures out that one of his friends, is indeed the Ripper and has escaped to the future. 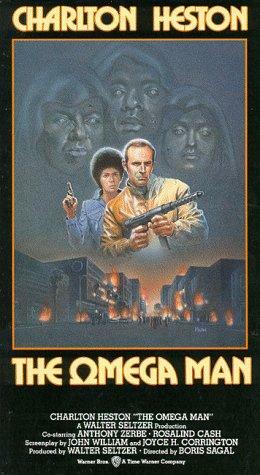 When the machine automatically returns to it’s place in his basement, he decides to pursue the criminal to save the civilized world he imagines will be overwhelmed by a sick murderer in it’s midst. I can’t visualize a better set up of a story, H.G. Wells pursuing Jack the Ripper across time. The concept alone is priceless but it is developed by a very good storyteller named Nicholas Myer. He wrote a Sherlock Holmes novel that was then made into a movie he directed. “The Seven-Percent Solution” uses a similar mixture of characters, like Holmes and Sigmund Freud, to tell an adventure story. 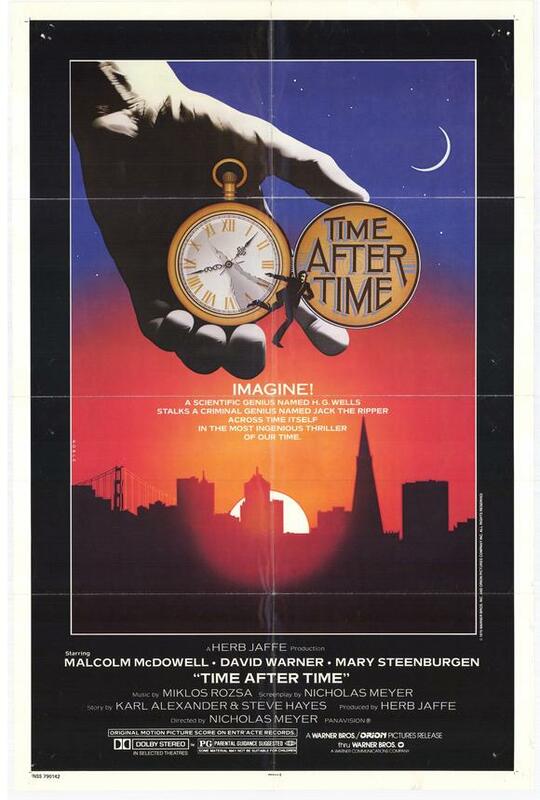 “Time After Time” is a thriller with a science fiction element. By itself that would be satisfying, but Myer adds in the perfect ingredient to make the picture an essential in my opinion. He adds a love story. A story that crosses a century of attitudes and the usual thriller elements to make us truly care about the outcome. Over the years thousands of writers and millions of film fans have written about and witnessed what is called “screen chemistry”. Errol Flynn and Olivia deHavalind had that chemistry and it helped them make eight films together that really worked. Most of you can think of actors that have meshed together so well on screen that it is hard to separate them. Romantic chemistry like Tracy and Hepburn or comradely like Redford and Newman. I would be hard pressed to think of another screen pairing where the chemistry came together so quickly and completely, right in front of us, as the matching of Malcolm McDowell and Mary Steenburgen. From their first scene together, you can feel them falling for each other. I had never imagined McDowell as a romantic lead before this movie, afterwords I wondered why he was not cast that way all the time. This was only her second movie, and she was a complete charmer in both of the films. I admit that I had a big crush on her, she was pretty without being glamorous and sweetness just falls off of her like frosting off the sides of a cake. There have been other star romances based on working together in a picture, this one surprised me not one bit. They were married for ten years, I’m sure she loves Ted Danson her current husband, but in my mind she and McDowell will always be a couple. The screenplay lets an unconventional pairing pull us into the events. It is a fish out of water story in both directions. As antagonists go, is there anything more provocative and potentially frightening than Jack the Ripper? In this story he is established as a surgeon, a chess player who regularly outwits the brilliant H.G.Wells, and a vile disturbed killer. David Warner is an actor that I have enjoyed in dozens of movies. He has never quite had leading man status, and he reminds me of an English version of Donald Sutherland. He is versatile and proficient. As Dr. Stevens, aka the Ripper, he creates a sense of malice immediately. There are some good chase scenes in the movie but the exchanges between him and the other two character are the best parts of the story. In one scene, Wells has tracked him down in his hotel room, and he shows Wells the TV news. He knows exactly how to wound his former friend, despoiling his vision of a Utopian future of peace and equality. It is a fine performance, and it is aided by some clever script points which make the movie look at more than just the action/thriller components. The detective story is also well told. Wells pursuit of the Ripper is very smart and utilizes the fact that both of them are not of the times. 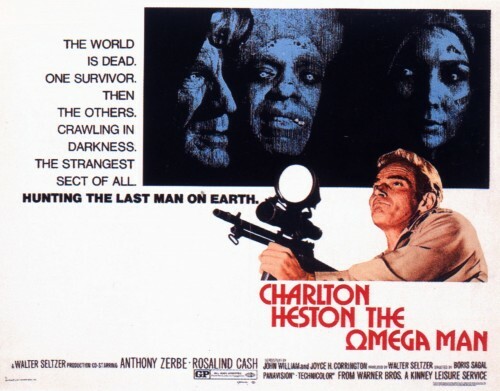 The film is set in 1979 so there are the usual changes in the world for us to notice. The price of gas is 67 cents a galleon, the menu at McDonald’s has most of the items under a dollar. One of the banks in the city of San Francisco that Wells tries to track Stevens down through is the National Bank of Iran. Of course with a time machine, he is able to discover the scene of a future crime, but in trying to get the S.F.P.D. to follow up, he makes an error that all of us in the audience will see but he does not realize will undermine his credibility. The story is set up to work logically as a puzzle in a very complete form. All time travel stories have conundrums that might undermine them. This one is no different, but once you are following the story, the paradoxes will not make any difference to how you feel. There is a twist that I remembered I did not see coming the first time I saw the movie. It created some very harsh emotional elements for a short time, and when it is resolved, I was rejoicing, even though I had been manipulated, because I cared so much about our two lovers. The only flaw in the film is that the time travel sequences are not really interesting. In “The Time Machine”, the 1960 George Pal telling of the story, the movement through time was indicated in a clever visual manner. Here the time travel element is a series of photographic effects that work at showing how the trip might be but are not all that strong in the creativity department. Don’t let that put you off of the movie, after all its two minutes of the two hours. This is not a special effects movie, it is a film about special people and ideas. It is gratifying to finish this series with a movie I adore and a chance to encourage anyone who reads this to revisit it or if you are lucky, see it for the first time. Watch This space for future blog projects, but don’t expect a daily update, I would need a Time Machine of my own to make that work with my regular class schedule. I’m finishing up the summer blog this weekend, and I have been running a little low on my films. When I started the project, I had a list of nearly 150 films that I could choose from. Originally there were just over forty in my collection. That included DVDs, Blue Ray DVDs, Laserdiscs, and video tape. Then I scanned all the Satellite Channels we subscribe to, looking for movies to add to the collection. I found about a dozen that I could use from that pool. I started haunting Wal-Mart, Target, and F.Y.E. (For Your Entertainment, formerly the Wherehouse) and made purchases that account for nearly twenty more. When I made some purchases, I was a little more flush with cash then I am right now. I recently took advantage of Blockbuster On-Line, for a free two week period and have rented a few films to use in the blog. Today however, I did not receive the DVDs from Blockbuster to finish off my project, so I am dipping into a slightly different pool to keep things consistent. Earlier in the summer I mentioned that I purchased several of the Pink Panther films to use for this series. One of the movies I bought, I discovered was really a Winter release and so fell outside the scope of my purpose. So for only the second time this summer I am going to cheat a little on the rules. 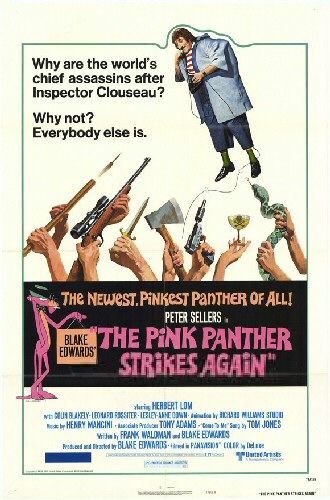 The Pink Panther Strikes Again, is the fifth movie in the series, it is the fourth to star Peter Sellars. He and Blake Edwards apparently had a falling out at one point and the part was played by Alan Arkin for one film. 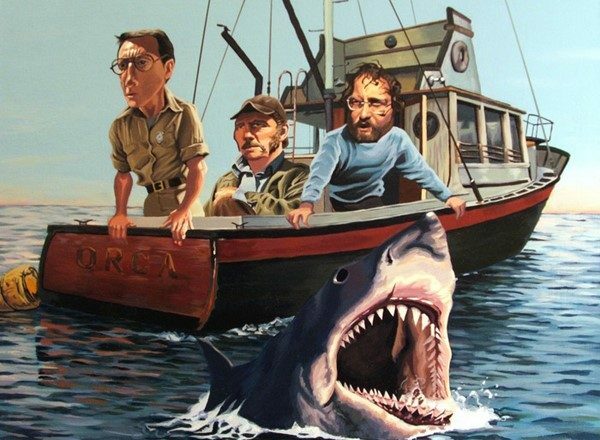 After the two reconciled, they revived the series in the 1970’s with a set of increasingly outlandish films. Some are better that others, all offer some entertainment but the formula became even more predictable than a James Bond Movie. There would be an opening set up, a fight with Cato, an introduction of characters that play a part in the story, and then a series of events that give Peter Sellars a chance to do his slapstick best to keep us amused. 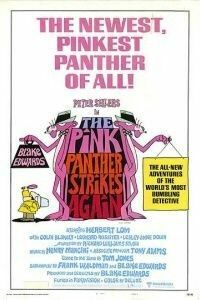 As the series went on the one thing that always seemed to maintain it’s quality was the opening titles which featured the animated Panther and Clouseau, and the amazing theme song from Henry Mancini. The work for the title crawl in this installment was done by Richard Williams, a brilliant animator that worked outside of the system at times. In my laser collection we have a copy of the full length Williams feature, The Thief and the Cobbler, it is a weird picture that gives you a sense of how creative the Williams studio could be. For the “Pink Panther Strikes Again”, the title sequence consists of a series of short tributes to other films, and features the Panther as Dracula, Batman, Alfred Hitchcock, King Kong, and even Maria from the Sound of Music. That was probably an inside joke because Blake Edwards is married to Julie Andrews. Most of what happens in the movie is explained by the trailer above. Clouseau’s old boss has gone mad, and is blackmailing the counties of the world into trying to kill Clouseau. This leads to a long sequence in the middle of the film, where a series of assassins, end up killing each other both on purpose and accidentally, as Clouseau wanders through the proceedings oblivious of the danger he is in. One of the assassins is the English actor Deep Roy, he has been in several films over the years, it is his performance that makes up all the Oompa Loompas in the Tim Burton, “Charlie and the Chocolate Factory”. He is also Mr. Scott’s assistant in the new Star Trek. Once again, Peter Sellar’s accent is the basis of several jokes. It is just off enough that you can see why others would not understand him. Edwards is not afraid to make a bad joke, and frequently they are the funniest pieces in the movie. Two stood out for me in this entry. After an explosion in his apartment, Clouseau is asked what kind of bomb it was, his answer, “the exploding kind’. See, it’s dumb but so out of the blue that you laugh because it surprises you. 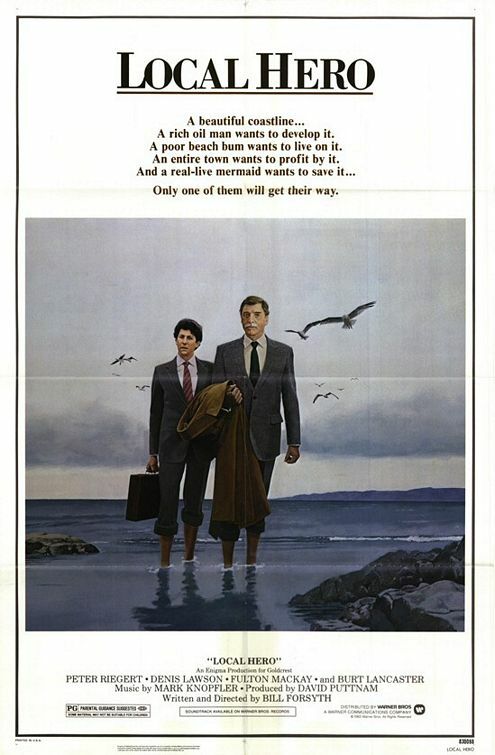 Toward the end of the film, he encounters a wire hared dachshund, and asks the hotel manager as he is bending down if his dog bites. The old man replies “no”, and Clouseau proceeds to try to pet the small dog. It leaps up and nearly rips him a new one. As he confronts the old man he says, “I thought you said he doesn’t bite”. To which the hotel manager replies, “that is not my dog”. This has got to be a really old joke, but they make it work. 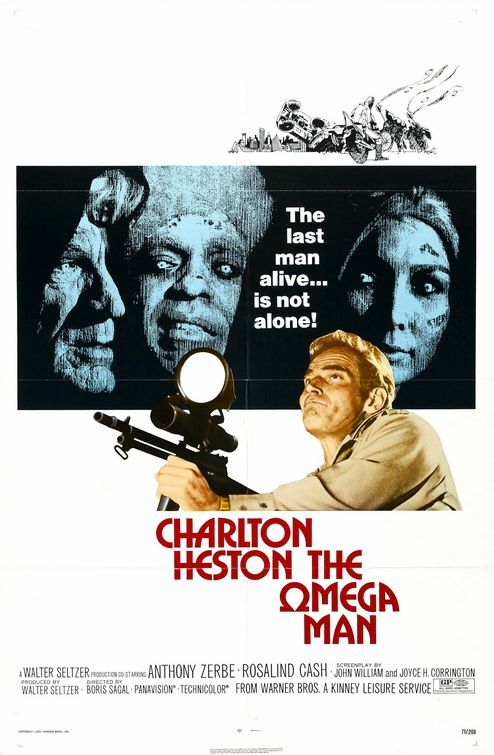 Herbert Lom plays Dreyfuss, and he does an over the top maniacal performance which he was clearly encouraged to do. Sometimes it seems to go a bit far, but I did like the parody of him playing the pipe organ wrapped in a black cape. You see he played the Phantom of the Opera in a 1962 horror film. This is a middling entry in the series. Most of the jokes seem flat, but when they hit there is a good laugh. If you have enjoyed any of the other 70’s panther films, you will probably like this one.Watch for the celebrity look a likes that play Henry Kissinger, and Gerald Ford. Those references, and the jokes about the President being clumsy, set the film clearly in it’s time. So I guess the best way to view it is as a relic of the Me Decade. I have written before that the summer of 1979 was my favorite growing up. There are a number of reasons for this and I have mentioned some of them. I need to talk about today’s movie in the context of some of the other reasons. These other reasons are not really the fun things that I mentioned before; graduating from college, not needing a job, floating in the pool or anticipating graduate school. The summer of 1979 happened in the shadow of some pretty hard events in my world. Dolores graduated from college the same time as I did, but her celebration of this and mine was tempered by the death of her father just a week before commencement. He had been sick and suffered several strokes and heart attacks in his last few months but it still was a shock that Tex Duckworth was not there with us. Dolores and her brother and sister were a little stuck trying to figure out what was going to happen with them. They had to grow up a little faster because there was no family home to return to. They made due, getting jobs and living together for several months before moving off on their separate lives. In March of 1979, before the National Debate Tournament, my two closest friend on the debate team were in a horrible accident on their way to spend some recreation time with friends in Colorado. While driving through Arizona, a drunk truck driver rear ended them and Leo Mohr, who was captain of the Trojan Debate Team, was killed. Rick Rollino, my debate partner, was severely burned, and although he would live, it was clear that his life was going to change. All of us have burdens that we carry with us on a daily basis, most of them are minor annoyances. Being part of an accident like this, losing a close friend, and being physically changed in many ways could easily lead to bitterness and depression. I have not spoken about the mental aspect of this with my friend Rick for thirty-one years. I never thought I needed to because, while he might have been depressed, he never showed it. I have never heard him let a bitter thought out of his head concerning any of this in all the time that has gone by. I know I have cursed the world a few times about it. Every March it pops into my head and I resent that Leo is not around and I wish that Rick didn’t have to be hurt. The truth is most of the rest of the time it doesn’t occur to me because Rick is the same guy he always was. I forget the physical changes, because there is so little change in the rest of him. You might be wondering why this somewhat maudlin story is connected to this movie. There are a couple of reasons. First of all, the theme of the movie is about growing up and becoming the person that you are meant to be. The character of Dave in “Breaking Away” is a wonderful guy, but he is trying so hard to be something different he doesn’t notice the effect it is having on everyone around him. His friends are struggling with unmet dreams, and he is still dreaming. His father is frustrated that his health keeps him from doing the work that he loved, but his son is driving him crazy and giving him as much worry as the old job did. The girl he woos is going to be hurt when she discovers his Italian persona is all an act. There is nothing wrong with being a little afraid of the future, and certainly nothing wrong with dreaming big. There is a problem however, if you run away from yourself. That is the lesson that Dave learns in the movie. It is a lesson that I learned quite a bit from my own friend’s experience in the hospital. When I would visit Rick, he made fun of the stupid things I might have said, or he laughed at the dumb joke I might have made. He wasn’t stoic, or reserved or bitter. Rick was the same guy I knew, and I was moving into my adulthood more effectively because of that. I found out the strength I had by helping the love of my life get through her transition to being an “orphan”. I also discovered a capacity to think of others more because of my friendship with Rick and my position on the Trojan Debate Squad as an assistant coach. John DeBross, my mentor and the Director of Forensics at USC, along with Lee Garrison, the Director of Debate and the guy I modeled my life on, both asked me to work with Rick to make sure his return to school, and competition went as well as it could while he was still recovering. It meant a lot to me that they saw my friendship with Rick as a way to help him and the team out. Truth be told Rick did not need much help. He was very self sufficient, and I wanted to be that way as well. So like Dave in the story, I had to learn to look not just at what I wanted, but at what would help others be the people they wanted to be as well. The character Mike, played by Dennis Quaid, is the former football star who is rapidly losing any vision of the future that is positive. Rick could easily have become that guy. So could I. It is friendship that gives them some faith that things will look up. The second reason that I have always identified with this movie and the characters is simple. This was the first movie I saw with Rick after he got out of the hospital. I think it may have been the first time he had gone out on his own since his injuries. 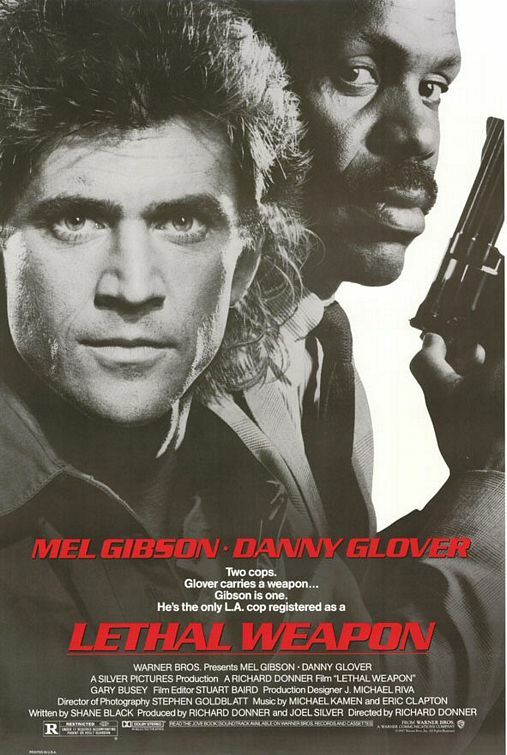 Dan Hasegawa and I, drove down to Torrance, picked Rick up and traveled up to Westwood to see this movie in what was then an exclusive engagement. Rick had pressure gloves on his hands for the skin grafts and a Bandage on his head that looked like a turban. We had dinner somewhere I don’t remember, but I do remember that we went to the late show that night and we did not get back to Torrance until nearly mid-night. All three of us enjoyed the movie immensely. Thinking about it, we were basically the same age as the characters in the film. Sometimes each of us was morose like Cyril, hot-headed like Moocher, frustrated and confused like Mike, and fearful but a little bit of a dreamer like Dave. One of the things that this summer of 1979 always reminds me of is that we all grow up. We don’t see the little things that change on on a daily basis, at least most of the time. While I was goofing off a lot that summer, I also know that I was becoming the person I wanted to be. I wanted to be a friend that someone could count on,I wanted to be the guy that someone else loved so much she would put up with my faults. I wanted to be a professional in my field, and I also wanted to keep dreaming. 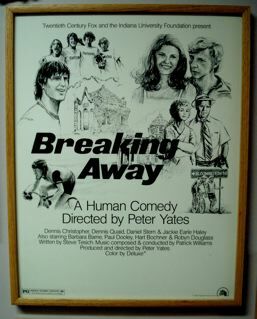 “Breaking Away” is a reminder of all of those things. Now a few things about the movie for those of you who came here for that. Filmmakers are often criticized for cashing in on the “Rocky” formula; the underdog overcoming long odds and having a feel good moment to polish off the film. There are a lot of hackneyed movies that do this and don’t really earn the emotion that comes with that conclusion. “Breaking Away” earned every cheer and every tear and every laugh in it. There are no pat answers, no cheap jokes. The characters are not always likable. In the end we do like them because we went on the whole journey with them. As I watched the trailer, I thought they did a good job of selling the movie. I thought it was good because it emphasizes the humor and coming of age story, but it doesn’t tip it’s hand at how deep the movie is about so many things. You want to see the movie, but when you do you know that you got so much more than you expected, that you have immense respect for what you just witnessed. At Awards time, many movie-goers cheer for the sleeper film, the one that sneaks past the prestige products and artful pet efforts of directors and into the limelight. 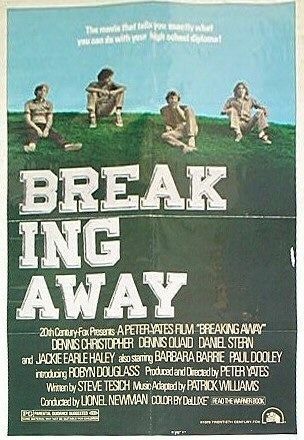 “Breaking Away” is the original little film that could, it received five Academy award nominations, including those for Best Picture, Director and Screenplay. The only shame that exists, is that Paul Dooley, who plays Dave’s father, did not receive recognition for his work in the movie. He is incredibly funny and very real. Both he and Barbara Barrie as Dave’s Mom, have excellent scenes in the movie with Dave. The four lead actors are young but very solid. Dennis Quaid has had a terrific career, despite not achieving the stardom levels that many expected. Daniel Stern will always be associated with the “Home Alone” movies, but I always think of him as the voice of the adult Kevin from the Wonder years. Jackie Earle Haley, was a child star, and disappeared for twenty-five years. Now he is back on the Hollywood radar and received Academy attention for “Little Children” and was my favorite Watchman in the “Watchmen” movie. I have not seen much of Dennis Christopher over the years. A couple years after “Breaking Away” he starred in a horror thriller I saw called “Fade to Black”. I know I recognized him in something a couple of years ago, but I have forgotten what it was. A lot of things stand out about this movie. I saw the thanks at the end for the Cinzano teams assistance in making the movie, if ever there was an example of bad product placement it was here. I was as heartbroken as Dave to discover his heroes were not all that he dreamed. His humiliation at their hands and the dramatic breakdown that follows in his fathers arms, puts a Black Eye on anything associated with the Cinzano name. I know it was just a movie, but imagine that it was a Pepsi truck that ran over Bambi’s mom, you know that Pepsi would never be a product you would feel the same about. The University there in Bloomington, looks like a mid-western university should. Those four guys sitting above the stadium watching football practice is a reminder of how they are outsiders in their own home town. The quarry swimming hole looks amazing, and it will simply remind kids living in big cities of the pleasures they miss by doing so. I loved the scene where Dave is paced by the Cinzano truck on the highway, and the way that the unnamed driver instinctively knows what he needs as they are traveling along the road. All the jokes about Italian music and language are not mean spirited, but rather reflect the awkwardness the dad feels around his own house. We get a lovely serenade, opera music in the house and joyful singing during the bike scenes. There is so much to laugh at in the movie, you might forget that it is also a dramatic story. The events are not earth shattering, the characters are certainly not glamorous. Yet you will feel moved and attracted to everyone eventually. (Except those Damn Italians).